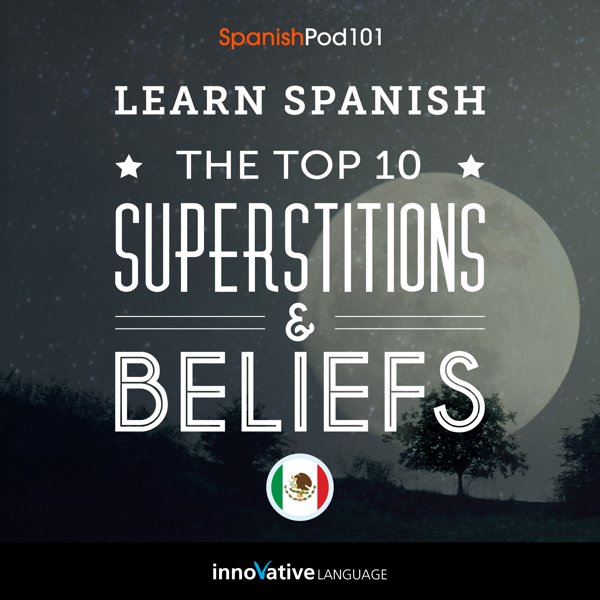 Welcome to Learn Spanish: The Top 10 Superstitions & Beliefs by Innovative Language. This is the Spanish you'll never learn in a textbook. Do you know must-known Mexican Superstitions? With this quick Audiobook, you'll learn Mexican culture AND the Spanish language at the same time. The topics were chosen by a panel of Spanish language teachers and cover the most common beliefs in Mexican culture. By the end, you'll learn brand new words, speak more Spanish and get a deeper insight into the culture.